The springback of AZ31B magnesium alloy sheets subjected to pulsed electric current-assisted V-bending tests was investigated. To study the effect of pulsed electric current on the bending-dominated deformation behavior of magnesium alloy sheets, the stress–strain responses from the electric current-assisted uniaxial tension and compression tests were experimentally measured. The stress–strain curves under pulsed electric current showed an instantaneous stress drop under the application of the electric pulse. The ductility was enhanced owing to the application of electric current. The electrically assisted V-bending tests helped reduce the springback compared with conventional room-temperature V-bending tests, and the magnitude of the springback reduction increased with the increase in the electric current density. A thermo-mechanical-electrical finite element model for the electrically assisted V-bending test was developed. To consider the Joule heating effect, temperature-dependent hardening and a yield function with strength differential were implemented for simulating the AZ31B sheet. The simulations could reproduce the experimental flow stress curves of the uniaxial tension/compression tests under pulsed electric current, characterized by an instantaneous stress drop and subsequent transient hardening behavior. The simulated springback profiles were in good agreement with the measured V-bending test data, thus validating the proposed finite element modeling procedure. Manuscript submitted December 14, 2018. 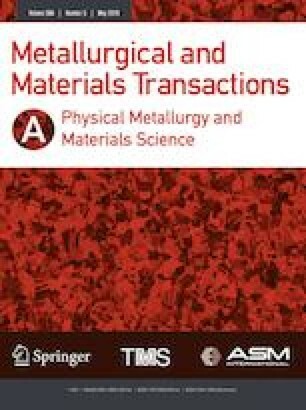 The authors appreciate the supports by the Fundamental Research Program of the Korea Institute of Materials Science (KIMS, PNK6000), and the Research & Development for Regional Industry of MOTIE (Grant No. R0006049), Republic of Korea. Matweb: Material data sheet: AZ31B, http://www.matweb.com.